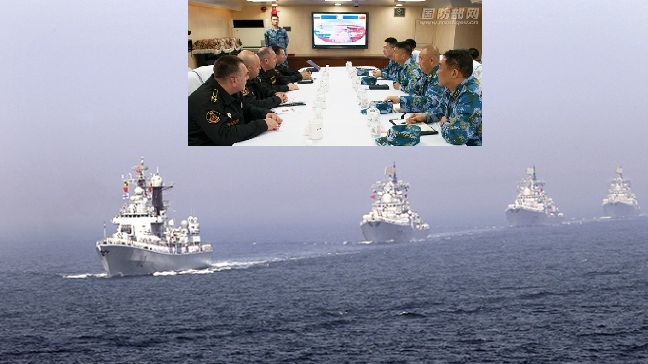 JNN 13 May 2014 Moscow : The Russian Pacific Fleet and the Chinese navy plan to conduct a joint large-scale cooperative training exercise scheduled for mid-May, a Russian military spokesman has said. “In the middle of May, Russian ships will head towards Shanghai, where they are to take part in the large-scale Naval Cooperation-2014 drill with the navy of China’s People’s Liberation Army, to take place in the South China Sea,” said Capt. 1st Rank Roman Martov on Wednesday as quoted in a report by RIA Novosti. The military drill will be the two nations’ third such joint training exercise, aimed at strengthening the cooperation of their fleets and the ability to withstand various threats in open water. The previous drill of the kind was held in July 2013 in the Sea of Japan and involved nearly 20 ships and vessels from both sides. The Pacific squadron, led by the guided-missile cruiser Varyag, was put to sea for the exercise on Wednesday, Martov said. The squadron crew will train in cooperative maneuvering and helicopter landings at sea as well perform rescue operations and air and sea target shooting, he added. This entry was posted in Asia Pacific, Iraq News and tagged China, China’s People’s Liberation Army, exercise, JOINT Navy Drill, Rank Roman Martov, Russia, Russian Pacific Fleet, Russian ships, South China Sea, training exercise. Bookmark the permalink.